Kris Boyd believes Scottish football can learn from the United States but is against the idea of playing Scottish Premiership matches overseas. Celtic and Dundee are exploring the possibility of staging a game in the US, where the Kilmarnock striker has experience with Portland Timbers. "I think there are avenues for the Scottish game to tap into if you look at the American model," said Boyd. "But, for our teams to go there to play, I don't think it's right." A formal proposal is set to be put before the Scottish Professional Football League regarding the Dundee v Celtic match in the next few weeks, with Boston and Philadelphia possible host cities. "It's not for me," Boyd, 32, told BBC Scotland. "With the two of them being Scottish clubs, it's right that they play in Scotland. "It's obviously a big market for Celtic with them being a worldwide club and because Dundee's owners are American, that's why they'll be trying to explore it. "There's a lot of Scottish people living in America. There is interest. "But the majority of Dundee fans will be from Dundee. I don't imagine there'll be a lot in America. With Celtic, there will be. That comes with the size of the club." 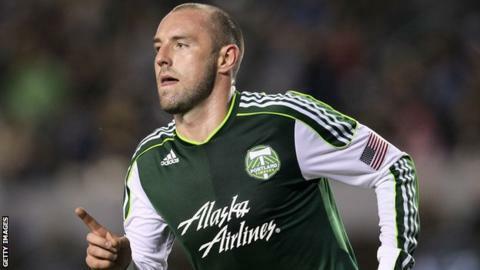 Boyd spent 2012 in Major League Soccer, scoring seven goals in 22 starts for Portland. "Scottish clubs can go over and see what's going on and try and make things better but bring it back here to try and make the Scottish game better in Scotland," added the former Scotland international. "Football is definitely getting bigger [in the US]. "The majority of clubs are now playing in front of 20,000 every week. Seattle are playing in front of 60,000 - that's as big as Rangers and Celtic! "There's more to take into it - the travelling, the different climates, the time zones. It's a difficult place to go and play football. "And they change the rules every year as well to suit the teams that are struggling because if you win the league then players' wages might go up then the next thing they need is to trade their players to keep themselves under their salary cap. "It would be difficult to manage in and definitely be an owner in but the flipside is that if you're an owner and you're getting 20,000 every week, you know you're still making money."